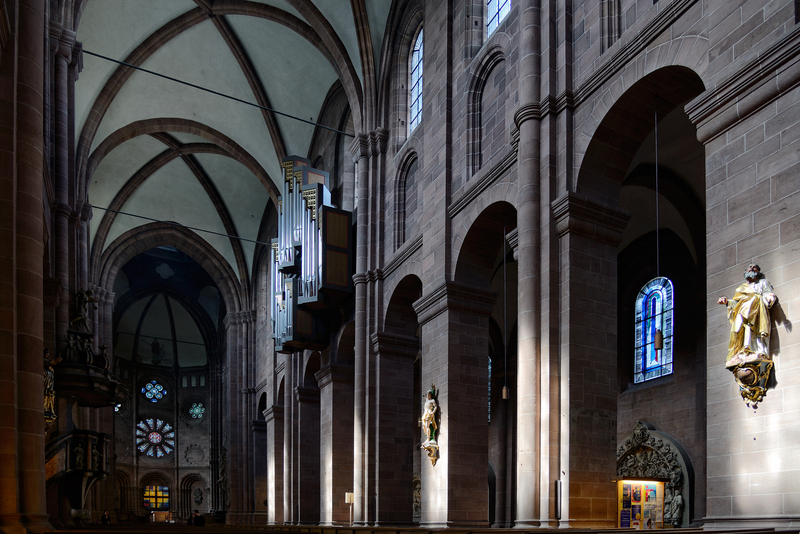 The Wormser Dom or Cathedral of St. Peter is the smallest of the three Kaiserdoms (Mainz, Worms, Speyer), though only by a few meters, and it feels darker, moodier. Its Romanesque core sets the tone, but this church has more dominant gothic additions on the south elevation than the other two. 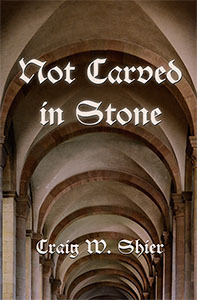 Most churches in this region suffered structural damage and loss of the original furnishings during various wars and shifts in the boundaries of Catholic and Protestant control. 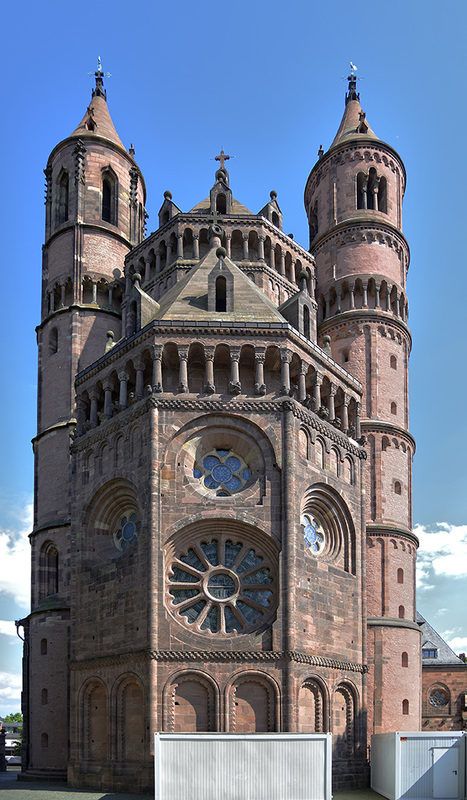 In the case of Worms the restorations extended into the 20th century and were set back again by World War Two. Many different approaches have been taken to restoration. 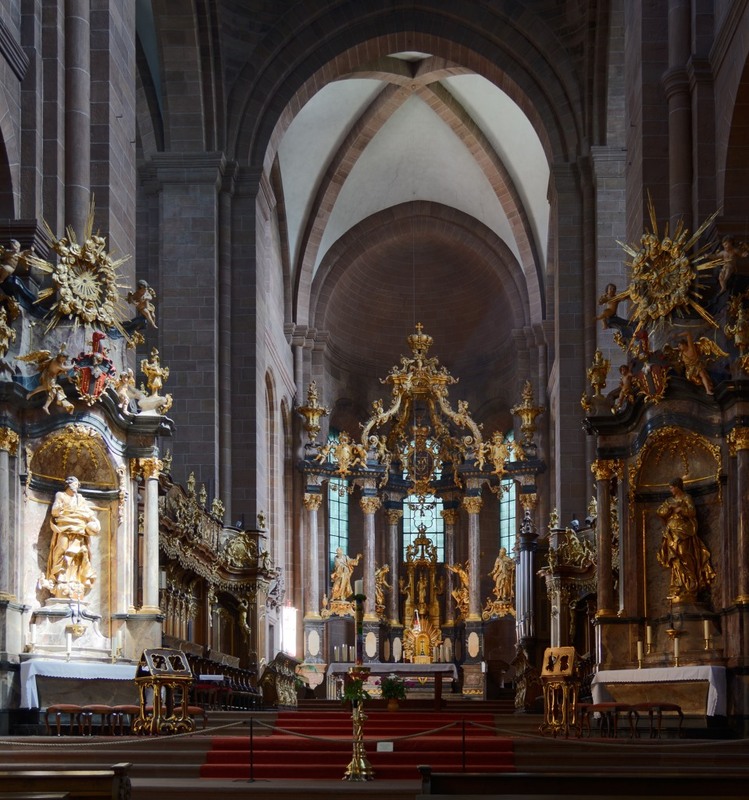 At Worms a limited collection of sculptures have been gathered in the nave and aisles, while the main, eastern chancel has been furnished in the Baroque style. The view below is toward the west with light falling on statues of St. Joachim and St. Sebastian. Though each bay of the nave is identical in the first story, the space below the clerestory shows interesting variations. 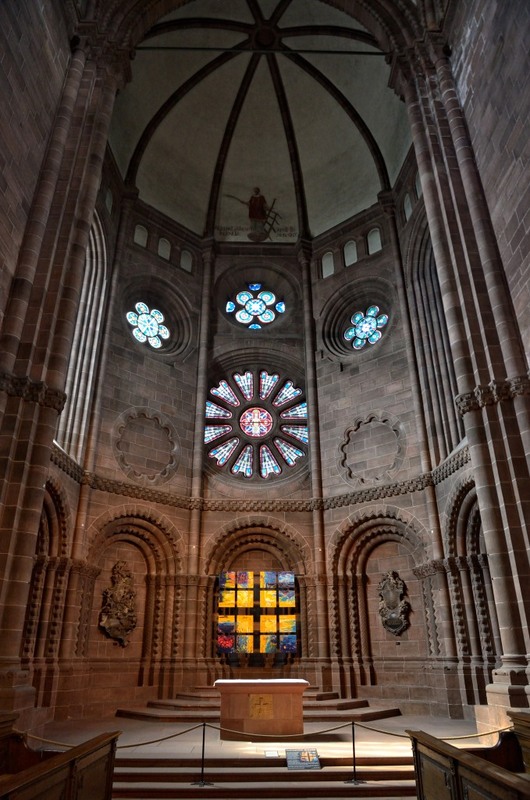 There are several bays with single blind archways above the nave arches, the westernmost bay and the easternmost on the north have only a flat wall. The second bay from the west on the south, opposite the organ has blind double archways. These can be seen below. The transverse arches above the nave are supported by different pier configurations on the north and south. On the south, the transverse arches spring from half cylinder columns while the smaller diagonal arches and arches over the windows, spring from a rectangular shaft behind the half cylinder. On the north there is a second rectangular shaft behind first that separates the springing of the window arch from that of the diagonal arches. There are also variations in the capitols. There is apparently no documentation as to why or how this occurred. 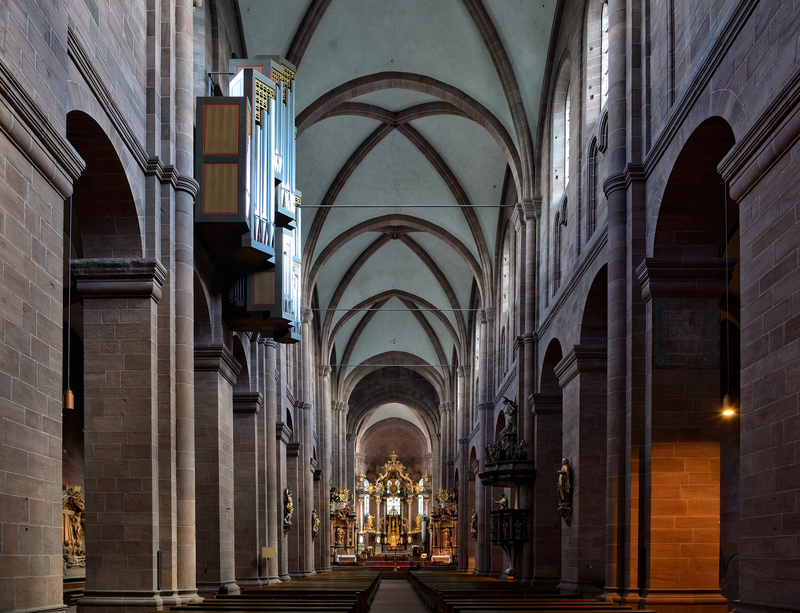 Such variation in many cathedrals is due to changes in technique or style over long periods of time, but the nave here was built between 1160-1170, so time does not seem to be the main factor. My pet theory is that the bishop was nearsighted and the architect took advantage of this to experiment with different techniques. To my eye, the view toward the west is most pleasing. That is to say the western chancel seems more consistent with the clean lines of the nave, yet it still provides an attractive focal point. 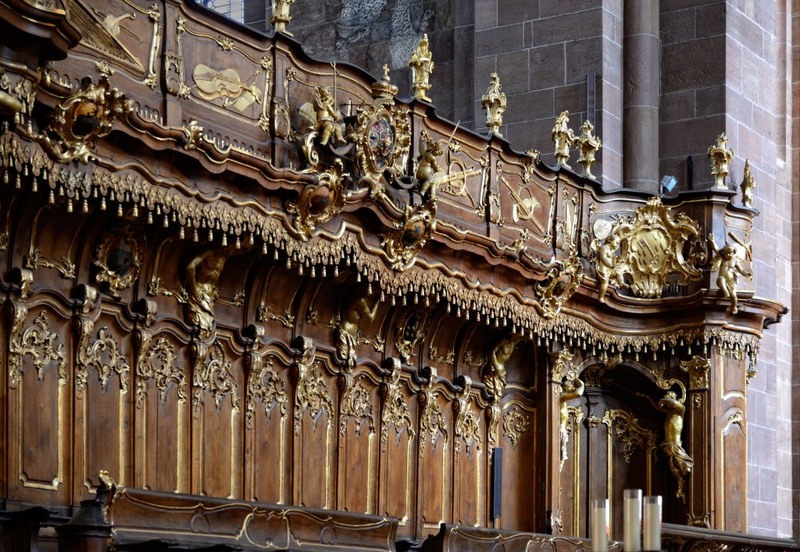 The eastern chancel is filled with gilded Baroque furniture and is quite eye catching, but it strikes me as clashing with the building as a whole. The north aisle wall preserves a number of sculpture panels that were moved here when the adjacent monastery was demolished. The windows above them are modern and the rectangular designs clash a bit with the ancient setting. The south aisle was augmented with a number of gothic chapels in the 14th century. 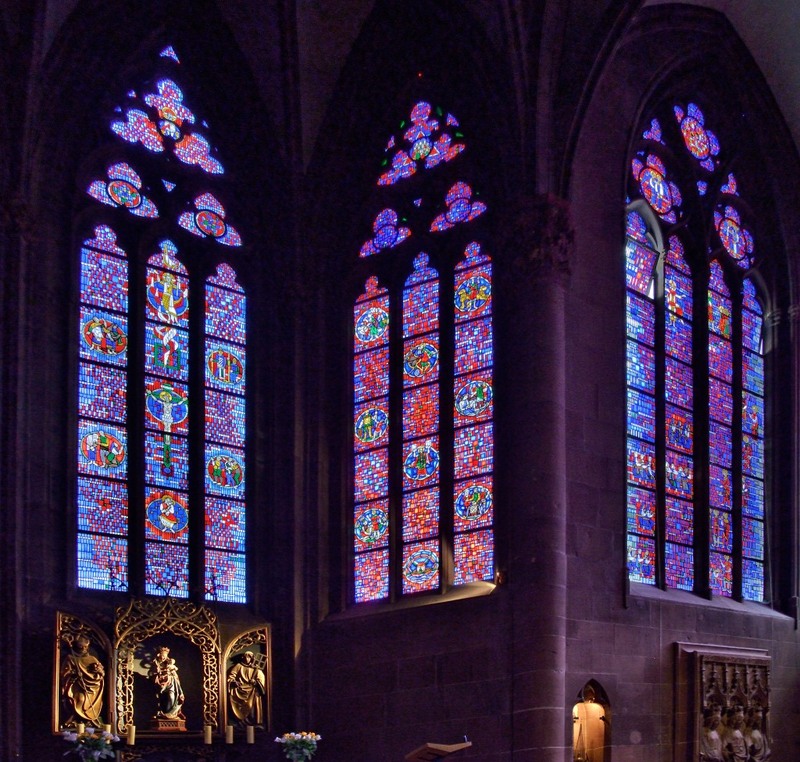 The strong red and blue of the windows in the large Nicholas Chapel lends a sense of quiet solitude. The north elevation once had an elaborate imperial entrance and a cloister that were destroyed, apparently in 1689. The western retains the outlines of damaged stone around the present doorway. In a couple places a rough patch or perhaps the rubble fill of the main wall is exposed. The eastern doorway which had been the imperial entrance was refurbished.